On August 29th and 30th, 2017, the NYC Parks Stewardship program welcomed the first-year class of the NYU College of Arts and Sciences to New York in a truly grand style. 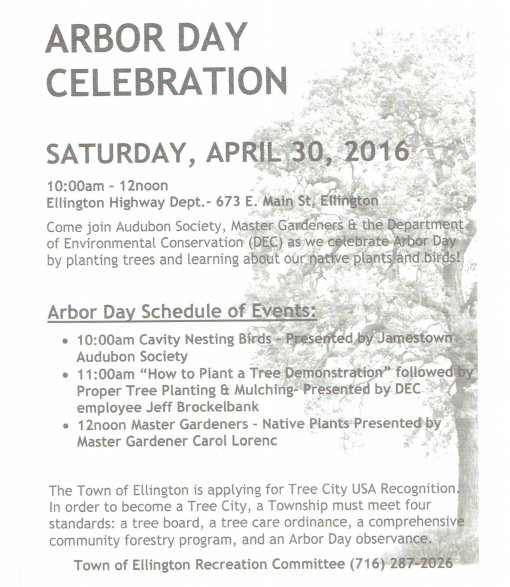 Over two days, 1,435 students and 60 staff members cared for 1,570 trees! 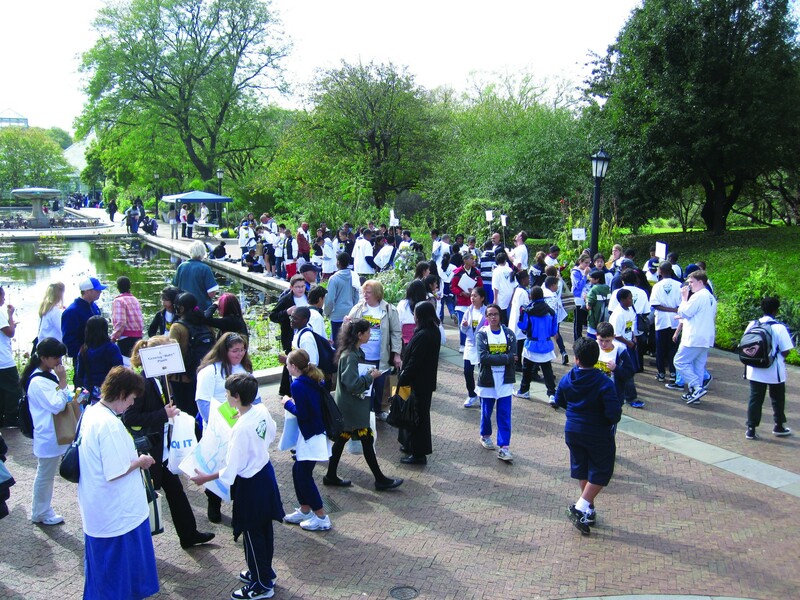 Over 200 NYC middle school students, teachers, and guidance counselors enjoyed the 21st Green Horizons event on October 20th, 2016 in Central Park. New York City’s annual environmental and natural resources careers day continues to provide a free and hands-on experience for young people, working directly with professionals who volunteer their time to introduce careers they love. Rotating around the five boroughs, Green Horizons is intensely collaborative, combining the strengths of governmental agencies at all levels, private corporations, and not-for-profit organizations. This year, the host organization was Central Park Conservancy; 20 stations were sited around the Harlem Meer in the northern part of the Park. 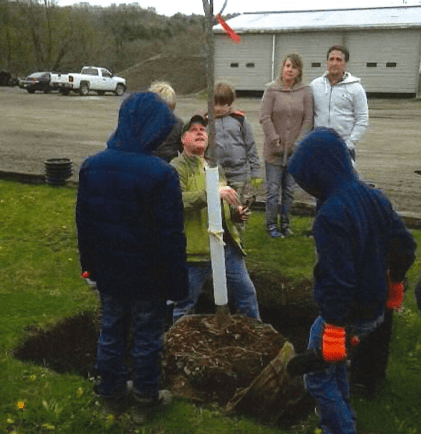 Among the various offerings, students learned about urban forestry, arboriculture, horticulture, landscape planning, geology, meteorology, entomology, wetlands management, and water quality monitoring. 2016 NYS ReLeaf Conference Preview! More than 45 species of trees and shrubs from the New York State Department of Environmental Conservation’s (DEC) Saratoga Tree Nursery are now available to public and private landowners and schools, DEC Acting Commissioner Basil Seggos announced today. The program provides low-cost, native planting materials from New York sources to encourage landowners to enhance the state’s environment for future generations. The Saratoga Tree Nursery also offers a few non-native species which can enhance wildlife plantings and assist with stream bank stabilization. For instance, toringo crabapple provides a winter food source for wild turkey, grouse and deer while streamco willow is used in many stabilization projects. The Saratoga Tree Nursery sells primarily bare-root stock for direct plantings, but a few species are available as containerized stock. Landowners can receive planting advice from their nearest DEC forestry office or private forestry consultant. The 2016 Tree and Shrub brochure (PDF) (170 KB) can be found on the DEC’s website or by calling the Saratoga Tree Nursery at(518) 581-1439. Some species sell out quickly. A number of NYSUFC members are also alums of SUNY ESF (College of Environmental Science and Forestry), including Kim Zhang and Council Treasurer Lori Brockelbank, our Council Secretary Steve Harris, and Executive Secretary Liana Gooding’s husband Mark. For those of you who are new to SUNY ESF, here’s the buzz. One standout stat: the average student: faculty ratio is 12:1. Founded in 1911, ESF is the nation’s oldest and most respected college dedicated solely to the study of the environment, developing renewable technologies and building a sustainable future. The ESF campus occupies 12 acres in Syracuse and 25,000 acres on its regional campuses throughout Central New York and the Adirondack Park. The ESF student body consists of approximately 1,650 undergraduate students and 600 graduate students. ESF alumni number more than 18,000 worldwide. ESF offers 24 undergraduate and 30 graduate degree programs to choose from, including bachelor’s, master’s and doctoral (Ph.D.) programs in the sciences, engineering, forestry and landscape architecture. Associate degree programs are offered at ESF’s Ranger School in the Adirondacks. The College’s long-standing partnership with Syracuse University provides ESF students with the opportunity to take classes at SU, use library and computing facilities, join student clubs and eat in SU dining halls. US News & World Report ranks ESF among the “Top 50 Public National Universities” and one of the top 50 “Great Schools at Great Prices.” Here’s an article they did about ESF. Forbes magazine ranks ESF the 3rd best college in the nation for women in science and engineering. 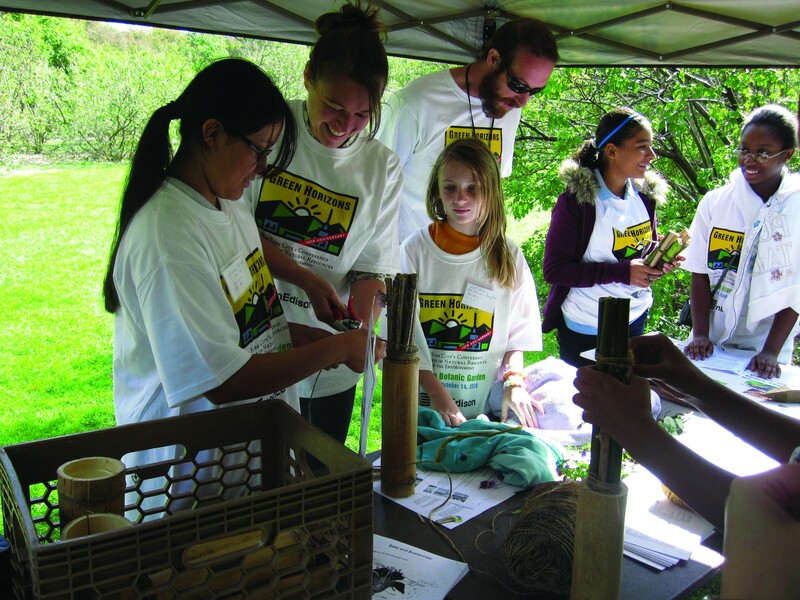 ESF students contribute more than 70,000 hours of community service each year, and the College has been named to the President’s Higher Education Community Service Honor Roll. The College sponsors intercollegiate athletic teams in basketball, cross country, golf, soccer, indoor track and timber sports. Forestry Awareness Day (FAD) 2015 is coming up on February 2 in Albany. Please join us! Participation/Registration is free for NYSUFC members. FAD is sponsored by The Council of Forest Resource Organizations (CFRO), of which our NYS Urban Forestry Council is a member. (Among the other 14 organizations are The Nature Conservancy, SUNY ESF, New York Forest Owners Association, NY Farm Bureau, and the Empire State Forest Products Association). FAD is a chance to educate our NYS legislators about key issues in Urban Forestry, Forestry Property Taxation, Wood Energy/Biomass Energy, Improving and Protecting Forest Health, and Sustainable Woodland Management and Conservation.